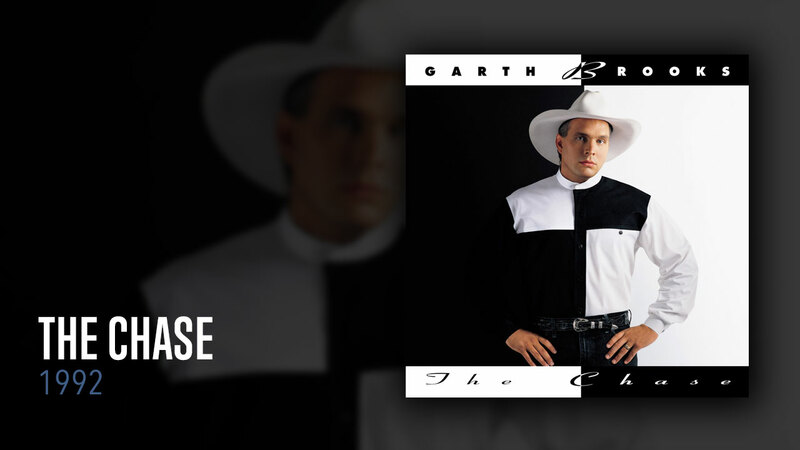 THE CHASE – RIAA certified for sales of over nine million copies, THE CHASE was the second album in music history to debut at #1 on both the Billboard 200 chart and the Billboard Top Country Albums chart. Capitol Records took a big risk and shipped 5 million copies of THE CHASE, which was the largest initial album shipment in music history at the time. The public responded immediately to the wide range of material on THE CHASE. Singles included “We Shall Be Free,” the powerful anthem to love and tolerance;” the #1 hit “That Summer” with its bittersweet reminiscence of young love; “Learning to Live Again,” with its honest portrayal of vulnerability; and the #1 hit “Somewhere Other Than the Night,” about rediscovery and new beginnings in relationships. ACM Video of the Year – “We Shall Be Free” (1994) – Garth won awards as artist and director.